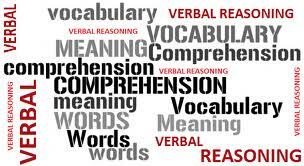 Word fitting is one of the part of verbal section. In Elitmus paper nearly three to five questions are from word fitting .Here you will find some tips and examples for solving those questions. Also Read: How to solve Probability in Aptitude Section? Example: Although the warring parties had settled a number of disputes, past experience made them .......... to express optimism that the talks would be a success. "Although" sets up a contrast between what has occurred--success on some issues--and what can be expected to occur--success for the whole talks. Hence, the parties are reluctant to express optimism. The common word "reluctant" is not offered as an answer-choice, but a synonym--reticent--is. The answer is (E). Also Read: How to solve Parajumbles in Verbal Section? Example: Davis is an opprobrious and .......... speaker, equally caustic toward friend or foe--a true curmudgeon. Also Read:How to solve Data Sufficiency questions in elitmus pH Test? Example: His novels are .......... ; he uses a long circumlocution when a direct coupling of a simple subject and verb would be best. Also Read:How to solve Logical Reasoning part in elitmus pH test? Example: Because he did not want to appear_______, the junior executive refused to dispute the board's decision, in spite of his belief that the decision would impair employee morale. Explanation: (C) and (E) are gone because they're positive words. .(B)doesn't work because the clue is "refused to dispute." That doesn't work with indecisive. For the same reason,(D) doesn't work either. So the best answer is option A.